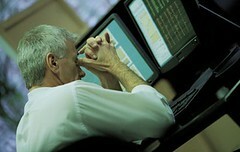 I believe many are gripped by fear and anxiety from the shockwaves of a worldwide crumbling of our global economy. Presently, it is very obvious that many (in general) follow the tides and winds of the economy. Hence, are blown into an emotional turmoil with the fluctuation of the economy. Unlike the economy, God never changes. He is the same today, tomorrow and forever. No one controls Him as He is above the economy. The story of Joseph is a good example of which we can learn from in responding to this situation. Despite being stripped from his majestic robe and the luxurious life he had as the favourite son of a wealthy man, he experienced an incredible amount of success and prospered. From a slave in Egypt, he eventually became the second most powerful person as prime minister in Egypt. The key factor of Joseph’s success was God; God was with Him and he remained connected with God in spite of his dire situation. He continued to walk in obedience to God’s ways. Like Joseph, even if we might lose our jobs or have no increment or bonuses in this recession, we can still experience success. The key is in cultivating a strong sense of God’s presence in our lives just as Joseph. One way is by reading and applying His word daily. True success should always be sustainable and unshake-able because it is found in a Person, not in things we possess. When we are focused and connected to God, we will have access to an abundance of everything we need in our God who is the Creator God- Elohim. in a way its a good thing to see how the current times are pushing people closer to God. God sure knows what he’s doing!